Nowadays, every online business small or big is looking foremost protection to secure their online website against hackers and other cyber attacks & providing a secured connection to their customers. In this case, SSL certificates are useful as tools for fending off these threats. In particular, SSL Certificates works as a security barrier between the website and attackers. GeoTrust and Comodo are leading names for providing SSL certificates. Comodo deals with many solutions sets whether it is for SSL certificates, malware detection & prevention or compliance & network security solutions while GeoTrust focuses on SSL certificates only. 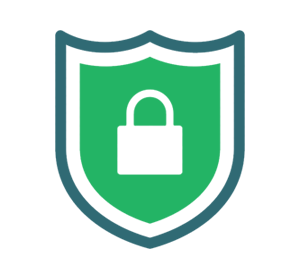 Both GeoTrust and Comodo offers an extensive range of SSL Certificate products to provide 256-bit certification encryption with 2048-bit key length. Apart from online protection, GeoTrust and Comodo also offer a wide range of features and benefits that build a strong business brand image and eventually create trust between customer and business. compare certificate providers, prices & features – up to 75% cheaper than vendor. $13.50/yr. $61.20/yr. $41.25/yr. $229.05/yr. $97.50/yr. $341.10/yr. $49.00/yr. $130.50/yr. $165.00/yr. $314.00/yr. $229.00/yr. $436.50/yr. Diversity Of Product Ranges : Comodo and GeoTrust offer a wide array of SSL solutions such as Wildcard SSL, EV (Extended Validation), Multi Domain SSL etc. Money-back Guarantee: Both brands offer a 100% money-back guarantee of up to 30 days. Even though these two brands are mostly the same, they still have a few differences, and some of them are listed below. Pricing: In pricing, GeoTrust prices its products very high compared to Comodo. Brand Popularity: GeoTrust has been in the SSL industry longer than Comodo, and it enjoys a greater entrenchment in the SSL niche. But still, Comodo is at number one position either if talking about most websites are using Comodo SSL certificates or market share of comodo brand in the comparison of GeoTrust SSL certificates. Market Share: According to the W3 Techs, Comodo SSL certificates are used by 15.7% websites, representing an SSL certificate market share of 40.5%. Whereas 3.6% of all the websites examined use GeoTrust SSL certificates, representing 9.3% market share of SSL certificate. As per Datanyze report, Comodo brand ranks at number 1, number of websites used Comodo is 1,235,268 & has 46.22% of the market share. Whereas GeoTrust brand rank comes at number 3, number of websites using this brand is 367,533 and market share of GeoTrust is 7.85%.